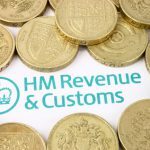 It’s that time of the year again when self-employed individuals around the country squirm as HMRC send out their notifications to compete a tax return. Twitter Lists – How Do You Use Yours? Twitter is one of the most popular social media sites on the web for individuals and business owners, I know it’s my favourite. Twitter is a really useful tool in promotion and marketing, however, to get the most out of Twitter you’ll probably need to organise your feed and the easiest way to do this is through Lists.